As Connor heads off to college, he will be wrapped up in the memory quilt lovingly made stitch by stitch by my mom. There are so many wonderful memories of the past years... many filled with football playoffs and championships, basketball teams that traveled all over Missouri, Kansas and Arkansas, our Alaska cruise and extreme driving in Colorado. 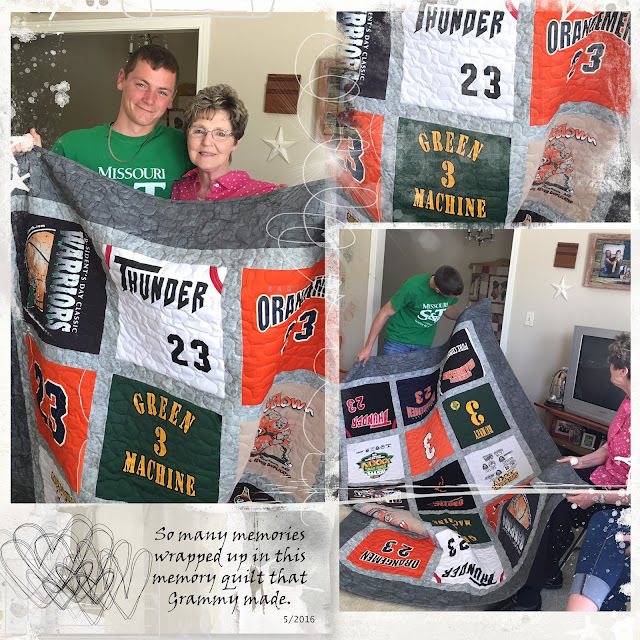 My hope is when he is away at college, he curls up under this blanket and remembers fondly all these memories and especially how much he is loved by his Grammy.